Make Bingo More Enjoyable for Everyone! Soft EVA foam chips make little to no noise. A big benefit for people with hearing aids. Great for or anyone sensitivity to background noise. Chunky pieces are easy to pick up and grasp! 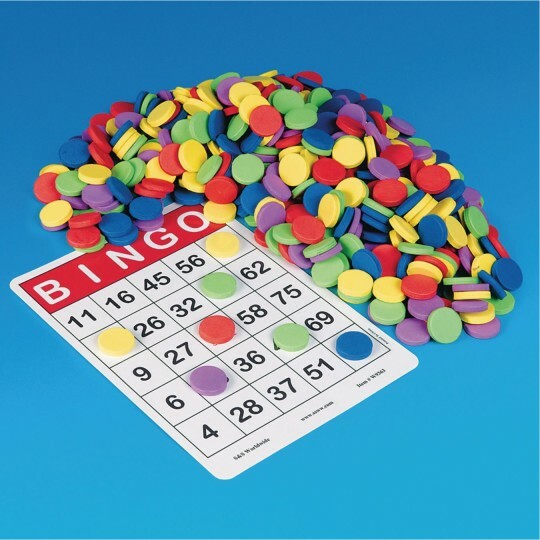 Soft EVA foam chips make little to no noise, so Bingo is more enjoyable for everyone – especially those with sensitivity to noise. Chunky 1/4" thick pieces are easy to pick up and grasp! 1-1/8" diameter. Pack of 250, enough for 10 players. Please specify red, yellow, blue, green, purple or assorted when ordering. 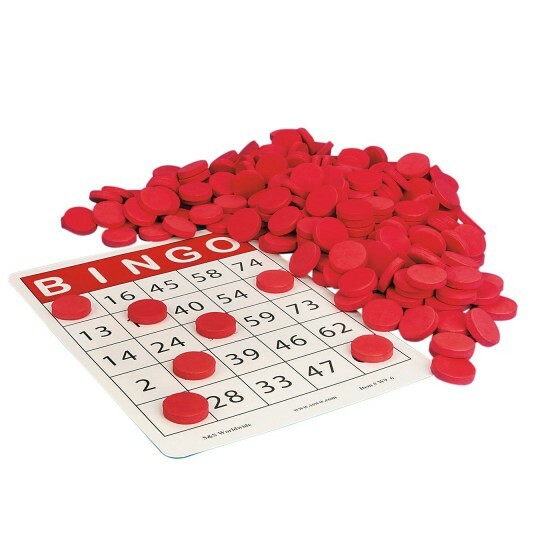 These are great to use with elderly residents who have a hard time picking up regular bingo chips and they do not make any annoying noises. Residents love them! Easy to use! I love these colorful and quiet. These worked great at my assisted living home. Residents loved the different colors and the size. I loved the quietness. Yes! Yes! Yes! These chips are a must have! I used the chips at a recent family reunion and they were an instant hit. The chips are flexible and noise free. I have residents with arthritis and similar situations and they LOVE these chips! Bingo is so much more accessible for them now!